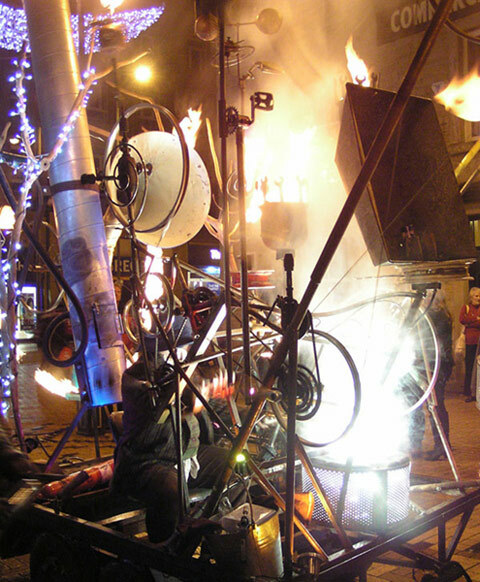 Pandaemonium! 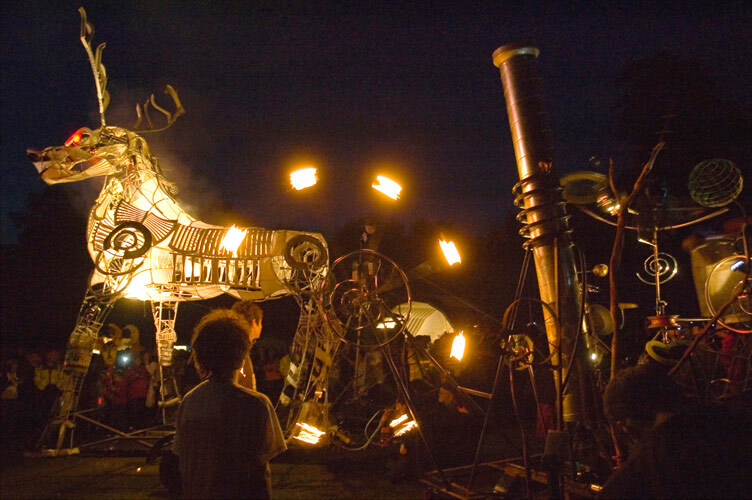 , a performance to summon The Beast of Bracknell Forest, was premiered at South Hill Park Arts Centre, Bracknell, on July 12th 2008. 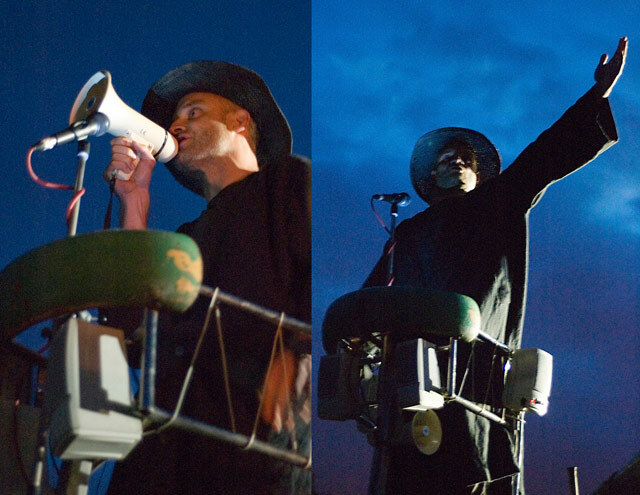 It was one of Rag & Bone’s first full outings as a collective. 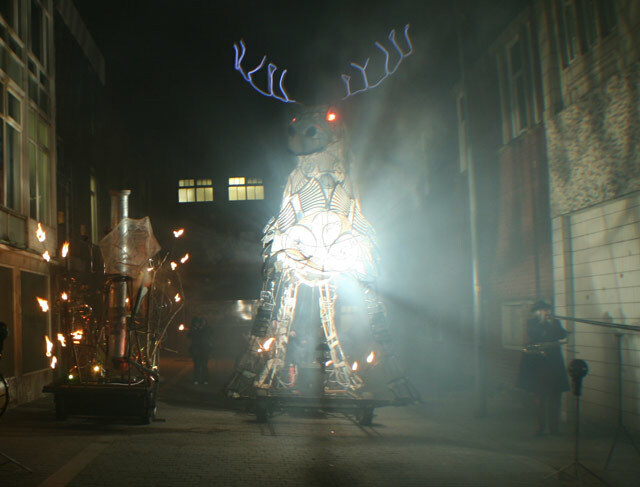 A provocative, dreamtime procession, with street band, rag and bone prophet, ‘ranting tower’ and Pandeamonium Engine appeared; and using a Leviathan Horn, summoned ‘The Beast of Bracknell Forest’ – a 20 foot high mythical creature made using recycled materials from Bracknell town dumps and waste disposal depots. 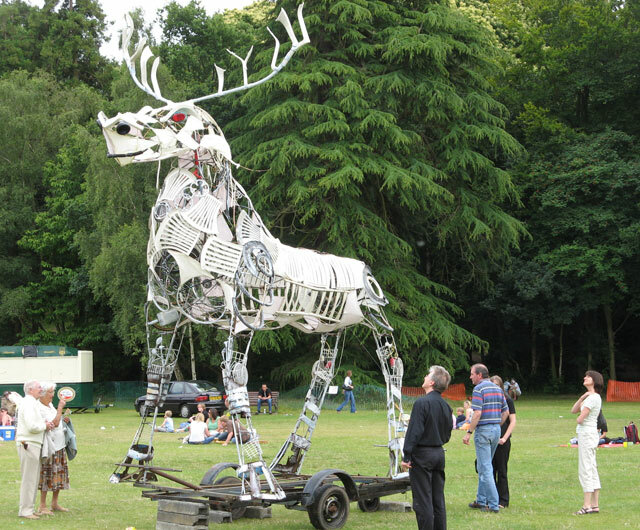 Pandaemonium was funded by South Hill Park Arts Centre, Arts Council England & Bracknell Forest Council. 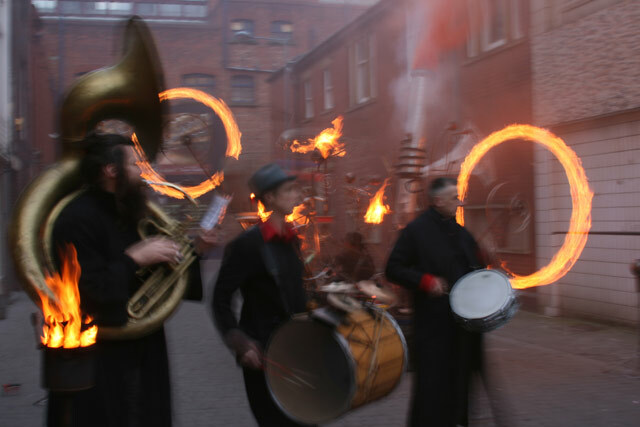 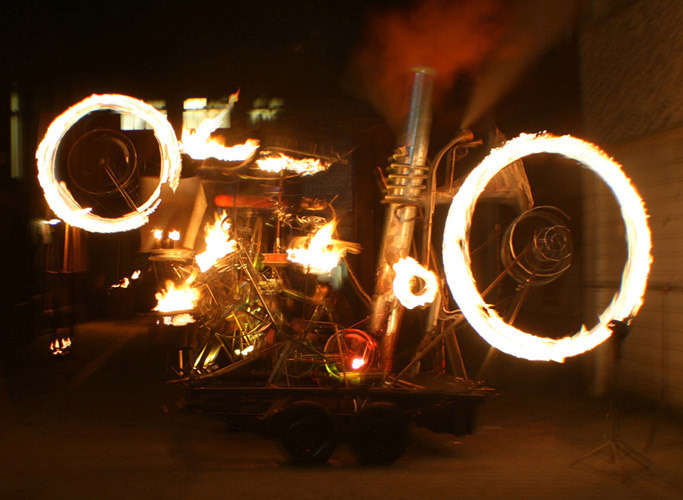 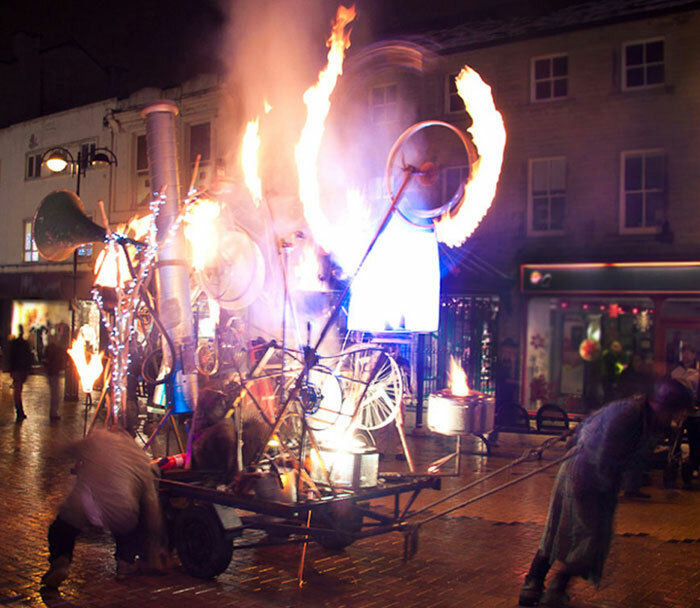 In February 2009, Rag & Bone performed a version of Pandaemonium for the Heat The Streets fire festival in Blackpool. 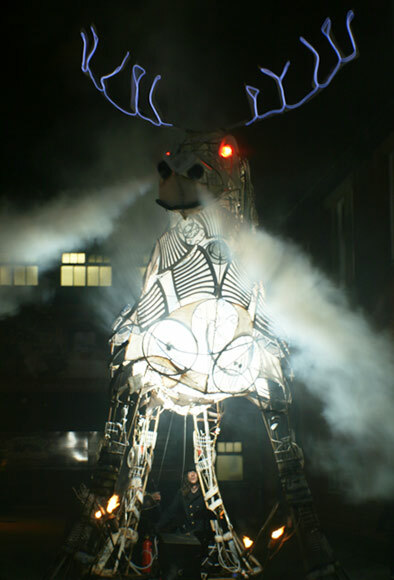 The Beast of Bracknell was briefly reborn onto the cold February streets, and was later seen scavenging for chips on the Pleasure Beach. 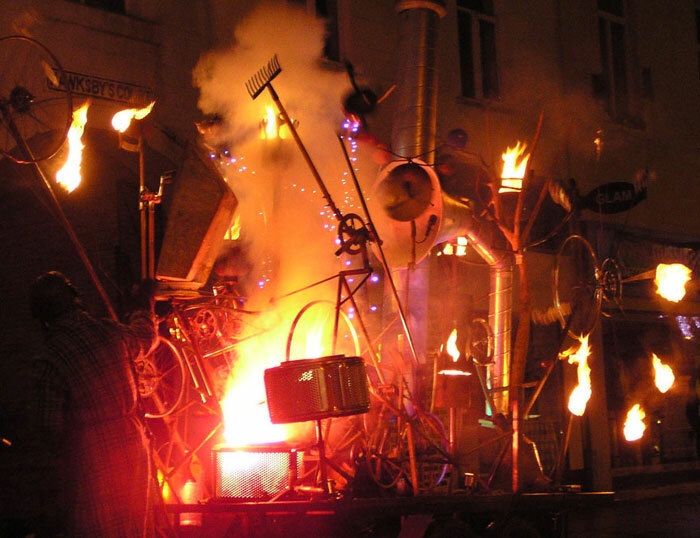 The Pandaemonium Engine later enjoyed a life of it’s own as a mobile, kinetic sculpture of ramshackle engineering; a lunatic dream machine, a motorised whirling dervish of detritus, fire & scrap metal.